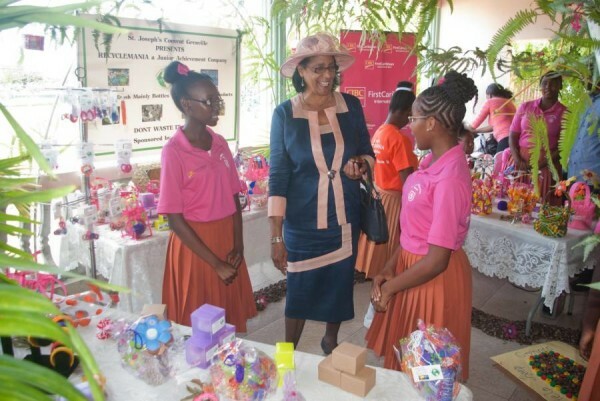 The annual Junior Achievement (JA) Trade Fair was held at the Grenada Trade Centre Annex to close the 2013-2014 Programme. The Trade Fair is a much anticipated aspect of the Junior Achievement Programme, bringing together participating schools. It provides opportunity for each JA Company to showcase their products, services and strengths of their team. Competition at the Trade Fair was fierce, as each school pulled out all the stops to wow the judges and community with their vibrant, creative displays and sales techniques. 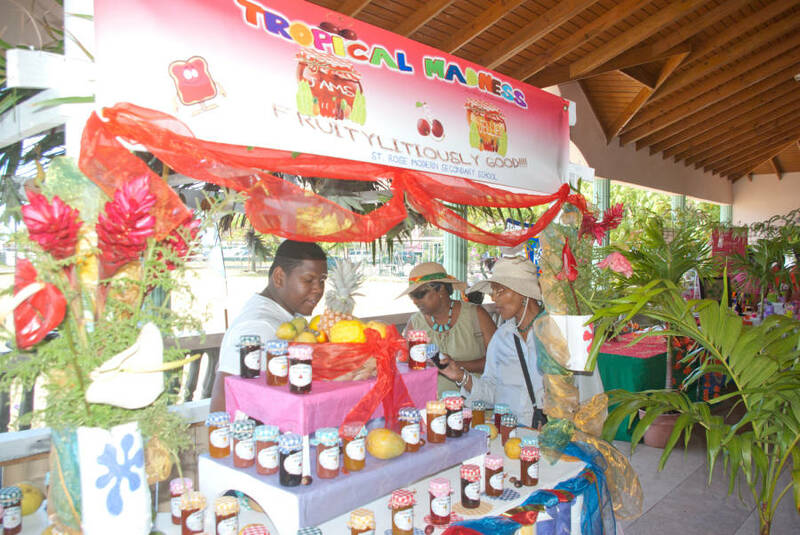 Each company was judged on a number of key business areas including presentation, packaging and branding, division of labour, creativity, use of local materials and sales technique, to name a few. Reigning Champs SJC Grenville with Counsellor Clyde Walcott. Junior Achievement started in Grenada in 1986 with the aim of providing students with the opportunity to gain skills and experience in financial literacy and workforce readiness. Since then, the programme has been successfully implemented in 15 secondary schools across Grenada and Carriacou. 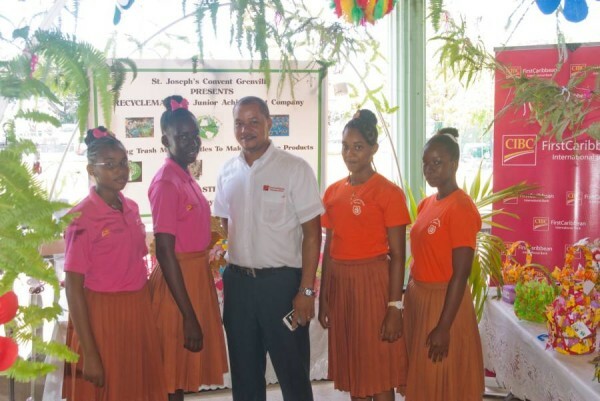 The Grenada Chamber of Industry and Commerce (GCIC), the institution responsible for coordinating the JA programme in Grenada, introduced JA for primary schools in January of this year. This leg of the programme is specifically designed to educate children about various aspects of business, their role in the community and family. In only two short weeks, this year’s Junior Achievement Companies will be liquidated. The overall winning company will be announced in a graduation ceremony held at the St George’s University at the end of May. The reigning champions are St Joseph’s Convent Grenville. The success of the programme is largely due to the support of many private corporate citizens, some of whom have been supporting the initiative for many years. CIBC FirstCaribbean, the largest, regionally listed bank in the English and Dutch speaking Caribbean, has signed a three year memorandum in support of JA across the Caribbean. CIBC wishes the students every success and looks forward to congratulating the eventual winners!